SEPTA has filed a lawsuit in the Court of Common Pleas seeking an injunction to end the strike by the Transportation Workers Union 234. The suit asserts that it constitutes a "clear and present danger to the health, safety and welfare of the citizens of Philadelphia and the region." SEPTA has previously stated that they would file for an injunction if the strike extended to Election Day next Tuesday. "For the sake of our riders, employees and our taxpayers, we have to get this done. Too much is at stake," said SEPTA spokeswoman Carla Showell-Lee. Two of New Jersey Governor Chris Christie's top aides were convicted today for conspiring and creating a traffic jam on the George Washington Bridge near Fort Lee back in September of 2013 known as Bridegate. 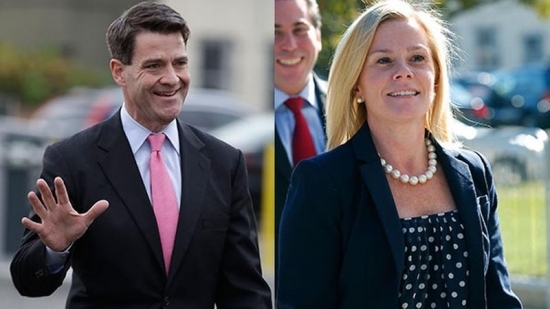 Bridget Kelly, Christie's former deputy chief of staff, and Bill Baroni, a Christie appointee to the Port Authority of New York and New Jersey, were found guilty of all counts. The top charge could bring 20 years. The federal jury deliberated for 5 days before reaching a verdict. Prosecutors contended that lane closures masked as a traffic study were concocted to create traffic as punishment for Fort Lee's Democratic Mayor Mark Sokolich who did not endorse Christie for re-election as governor. Christie has denied any prior knowledge of the traffic jam and his aide's plans. Two brothers in Burlington County, NJ, are accused of killing their roommate and burying his body in the backyard. 27-year-old Christopher Costello and 24-year-old Bryan Costello are both charged with murder in the first degree. A relative reported 23-year-old Justin Dubois missing on October 31st saying he had not been heard from for several days. Investigators obtained a search warrant for the home on Spencer Court in Lumberton Township. They discovered a patch of soil that had recently been disturbed and found Dubois' body buried there. An autopsy will be performed to determine cause of death. There is no word on motive. The brothers are being held on $500,000 bail each. Singer Michael Buble and his wife Argentine Actress Luisana Lopilato announced today that their 3-year-old son Noah has been diagnosed with cancer and is undergoing treatment in the U.S. In a Facebook post, Buble said that they are 'devastated' by the diagnosis and that they will be putting their careers on hold. The couple is asking for your prayers.